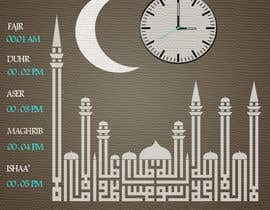 I require an Islamic watch face designed for Android Wear, the clock would have two main functions outside of telling time. 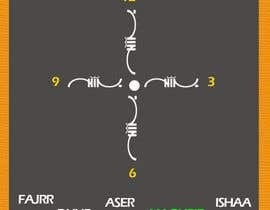 2-The clock would indicate the time for upcoming prayers , this can be digital time section on the face or it can be highlighted as a pizza slice on the watch. 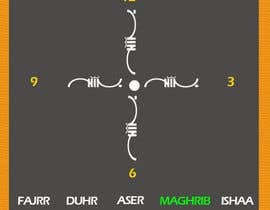 Muslims have 5 prayers a day spanning am/pm it would be great to show all of them but for artistic value or similarity we can limit to upcoming prayer. Update: its enough to provide 1024px radial and square designs, please note that Android watchfaces have two modes. One mode is "Active mode" which is meant when the user is actually looking at the watch and will have all the features, 2nd mode is "Standby" which is a limited version (mostly dark/black) to save battery. Attached are colors/design that I like , you can come up with your own. 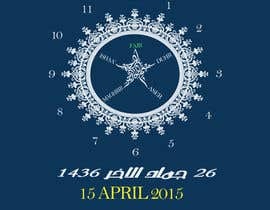 I see you have closed the contest, we'll I have made several Islamic watchfaces, I hope you will like them, just Google Islamic watchface and you will find some of my google+ posts. 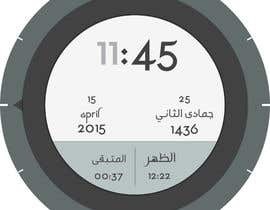 @nihalhassan93 , its enough to provide 1024px radial and square designs, please note that Android watchfaces have two modes. One mode for standby which is a limited form to save battery and the active form which is meant when the user is looking at the watch.